Richard Rawlings and his team — including Russell J. Holmes, project manager, and Chris Stephens, garage designer — travel the country to find shops that need help. In each episode, Rawlings takes over a shop, making all decisions for the business as he works to revamp and revitalize the enterprise using his entrepreneurial savvy, deep knowledge of the auto industry and marketing skills to transform the struggling garages into profitable businesses. Holmes, a construction expert with more than 20 years of experience who saw his own father lose a family business, is tasked with getting Rawlings’ rehabs done on time and on budget. Stephens, a shop owner specializing in restoring vintage European cars, is responsible for taking Rawlings’ vision for the shop and implementing the design from the ground up. Star of Fast N’ Loud and owner of Gas Monkey Garage, Richard Rawling has a knack for turning a dying garage’s life around. Russell is “the muscle” behind Garage Rehab’s renovations. A construction expert with over twenty years experience, he’s seen and dealt with just about any problem a contractor could encounter. He’s tasked with getting Richard’s rehabs done on time and on budget, no small feat with looming deadlines and cost overruns. Russell has worked in many different labor-intensive environments including land surveying, dock building, and automotive repair. He’s owned his own construction business and has run crews of over 100 men. Working also as a mechanic for years, Russell is very familiar with auto garages, and knows first-hand what works and what doesn’t. As a car enthusiast, he’s has helped many friends build custom garages on their properties. Russell is passionate about helping Richard on this series because his own father had a small machining business, and Russell watched it fail. He knows what it’s like to lose a family business, and wants to add his skills to Richard’s team to help other shops before it’s too late. 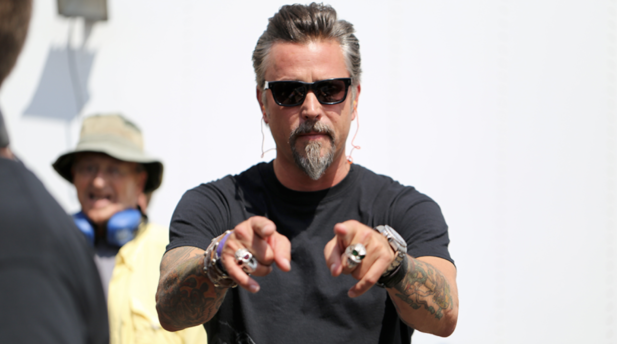 Chris is “the hustle” behind Garage Rehab’s shop renovations. He’s responsible for taking Richard’s vision for the shop and implementing the design from the ground-up. A stickler for efficiency, every aspect of the plan and the placement of every piece of equipment must meet Chris’ approval. And as a shop owner himself specializing in restoring vintage European cars, Chris knows intimately what it takes for an auto garage to be successful and profitable. Always looking for ways to improve service, he encourages shop owners to embrace new social media trends to reach new clients. In addition to his love of restoring vintage European cars, Chris is a motorcycle enthusiast and has designed and built a number of custom bikes from the frame up. He’s looking to use his sleek sense of design to improve the profitability of the garages Richard is investing in.